You’ll feel at home when you enter our doors. Our beautiful campus, nestled in spacious, country setting, offers two distinct residences that together form a continuum of care. This continuum of care is also supported by our care partners who offer services such as outpatient physical, occupational and speech therapy; home health care, and compassionate hospice services right here in residents’ homes. 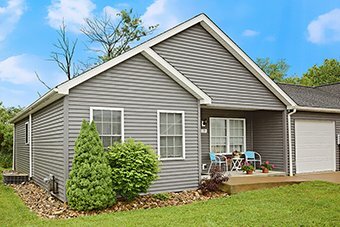 Brookside Independent Living Patio Homes offer maintenance-free living for independent seniors who want to enjoy hobbies and activities, and spend more time with family and friends without the burdens of home ownership and upkeep. 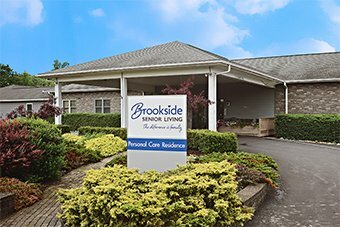 Brookside Personal Care Residence offers more care and support for those who need a little extra assistance with the activities of daily living, like bathing, dressing and personal care. We also provide Enhanced Care services at an additional fee for those who require even higher levels of care as they age in place. 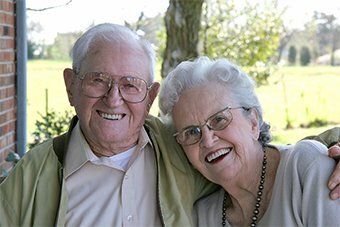 With this stepped approach to personal care services, your loved one can receive exactly the care needed without paying for services they don’t need.